Signal Reference Grid Wire Clamp- #12 wire #8 stranded thru #4 stranded* - Each. Our line of Erico Electrical and Datacomm Fasteners are perfect for those big contractors running thousands of feet of cable. Or someone just doing a few home improvements. Whoever you are, Erico Electrical and Datacomm Fasteners are the right choice for you. 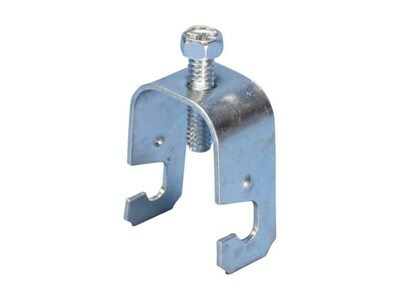 ERICO offers the Signal Reference Grid Wire Clamp for static grounding. Provides a quick method to mechanically support a signal reference grid wire below computer room floors.